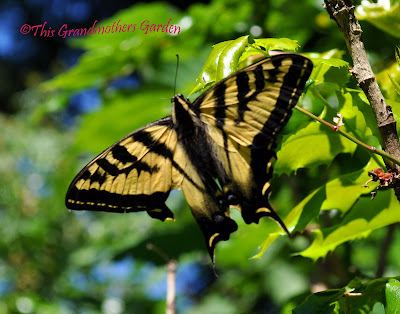 This Grandmother's Garden: On Broken Wings? so that we might catch it. 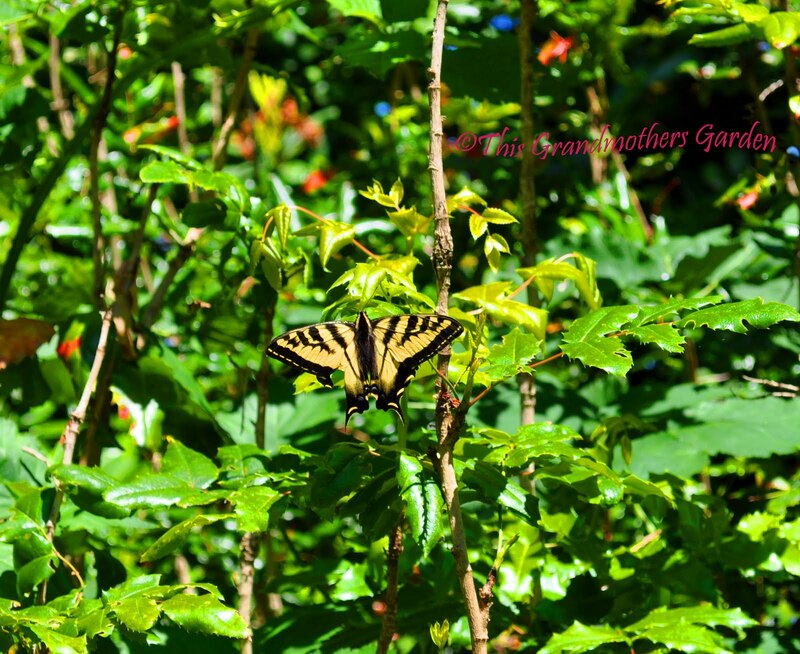 does this butterfly have a broken wing? he seems to be doing just fine. it may come and sit on your shoulder." Next time I think maybe we'll try sitting quietly in the grass! I promise to keep the secret. ;) This time of year, it is unusual that I see a "perfect" butterfly -- they've usually all at least had a run-in with a bird or been caught in some damaging situation by now. What a fantastic idea for a post! 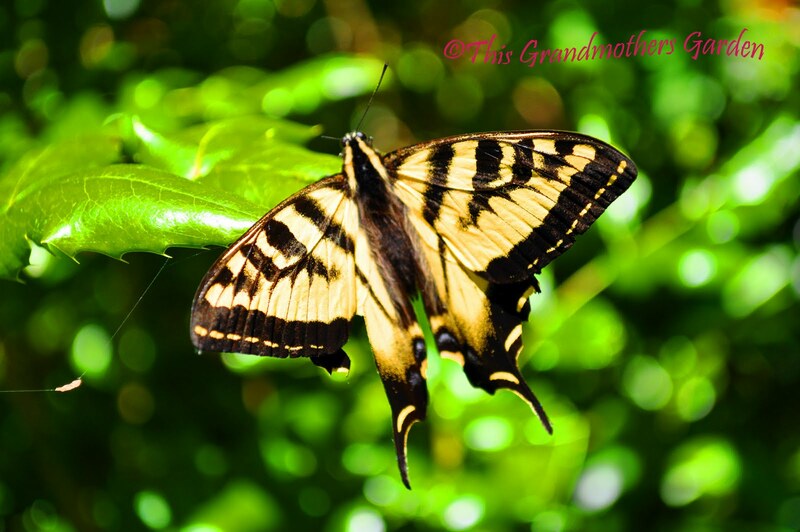 You've written a delightful poem to accompany remarkable photos of a battered, but still graceful butterfly. 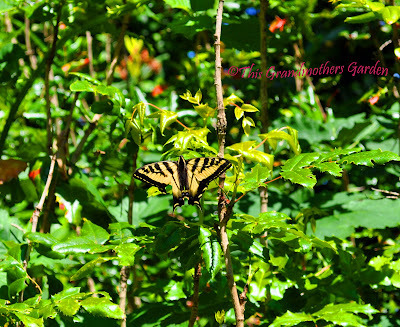 That tiger swallowtail is doing good, considering. I've seen butterflies with 3/4 of their wings gone and they still make it from bloom to bloom! 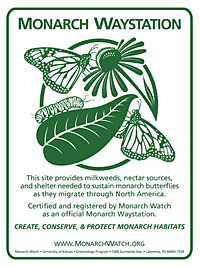 Even saw a monarch once with one of its 4 wings gone. They endure! 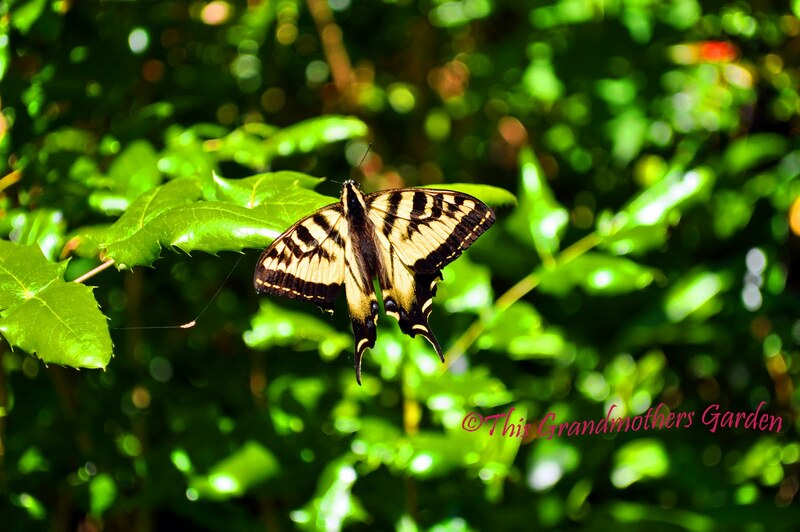 I remember chasing butterflies when I was a child. 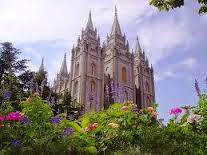 Its truly brings zeal & joy back into our lives. Lovely post. I've also been visited by a swallowtail with a torn wing. And how wonderful to watch the butterfly with your grandchildren. I was excited this morning to find some black swallowtail caterpillars on my dill - I haven't seen as many butterflies this summer. Lovely thoughts and photos for this beautiful summer day. This took me right back to my childhood when my grandmother and I used to stand in her meadow and hope the butterflies would come to us ... they never did but it is a great memory. Oh, I hate to see their wings torn or missing but I know it's life. I'm glad they can figure out how to get around even beat up a bit. Usually if I see one with really pristine wings, I figure it just emerged. 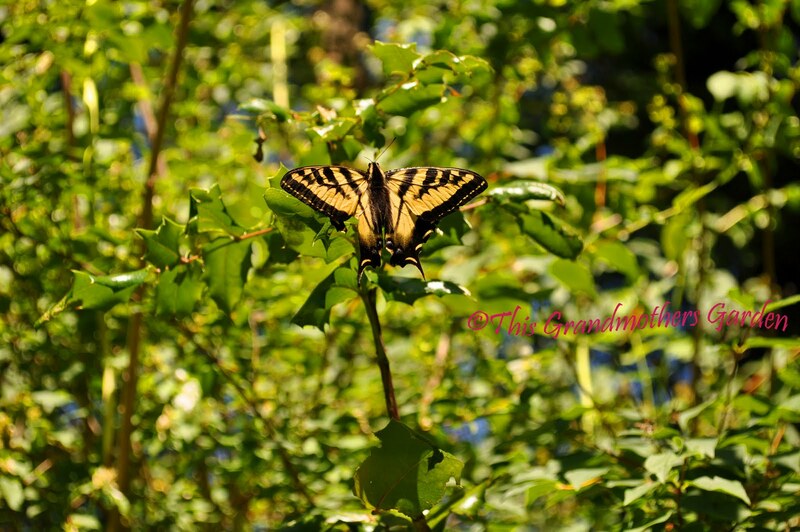 You have some beautiful photos of the Swallowtail. Yesterday I found a butterflies in my garden, but not so lucky as yours, and I was so sad. They are so beautiful and fragile. Meredith, you always lift my spirit. Thank you. Emma Lee, I love your story and have retold it several times already. But I must say, I'm delighted that you are so connected to nature. Your little ones are so lucky to have such a sweet momma! Nanina, I delight in trying to cheer you up! 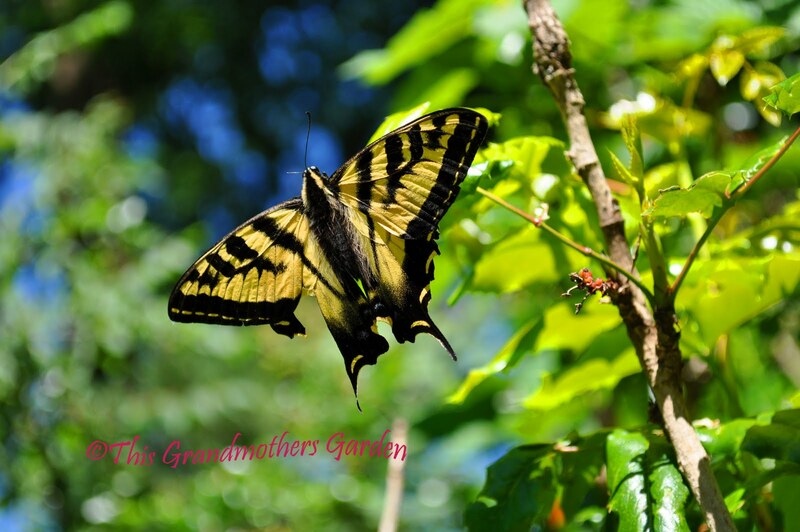 Benjamin, James, Ginny, Karen, Kathleen and Ellada, I enjoyed reading your encounters with butterflys. 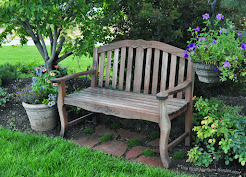 Joey, Sandy, and Greenearth, so glad you enjoyed my post.